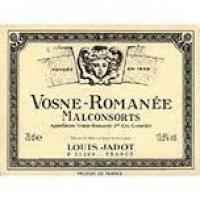 2012 Jadot Vosne Romanee Malconsorts 375ml - $125.00: Vins Rare, The finest selection of rare wines. There is only a single barrel of Malconsorts in the cellars this year, which was raised in a one wine barrel. This too is stellar, with a far more red fruity profile to its bouquet of cherries, raspberries, coffee, duck, Vosne spices, a beautifully complex base of soil tones and a nice touch of cedar. On the palate the wine is deep, full-bodied and very pure on the attack, with stunning transparency, a sappy core of fruit, superb focus and balance, fine-grained tannins and a long, refined and tangy finish. Quintessential Malconsorts! 2022-2055. 94.